The name for a Jew in Spain during the Inquisitions was Marrano-it also is Spanish for pig. 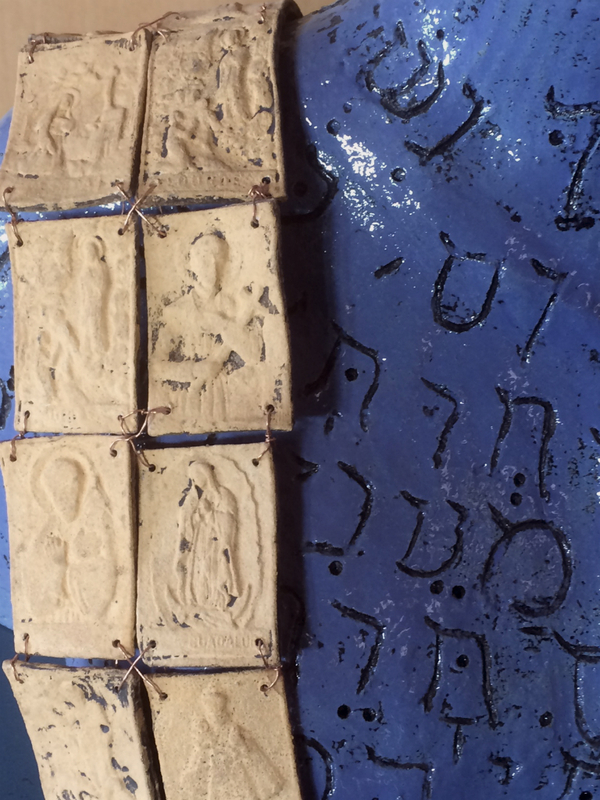 The bust female figure is carved with a prayer in Hebrew by an unknown Spanish poet. The yellow mantle representing a sanbenito is made from press molded images of Catholic saints, and is wired together like chain maile. The head is covered by a carrozo or conical cap, which was placed on the heads of converted Jews. The fuego revolto (upsidedown flame) which signified Jews who had avoided the auto da fe by their conversion to Christianity. 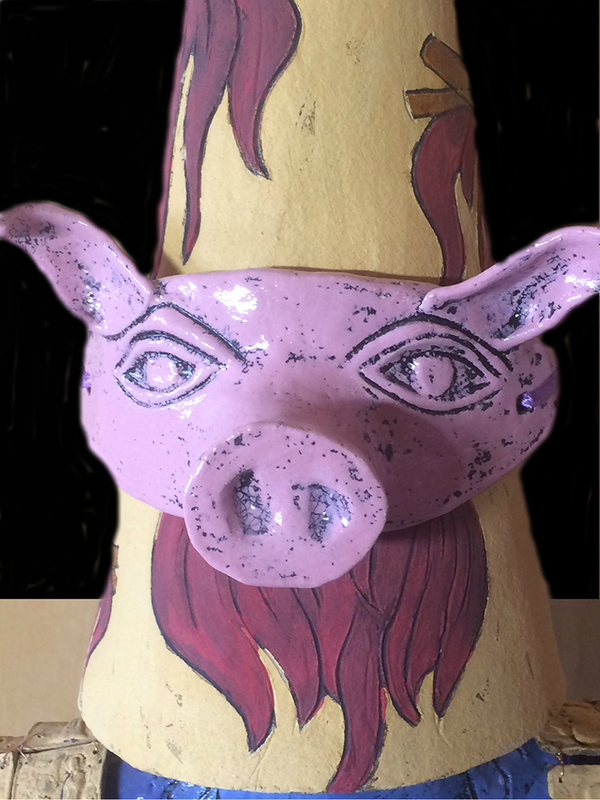 A pig mask is added to remind the viewer of the association to the title.